“UFC 152: Benavidez vs. Johnson” takes place September 22nd inside Air Canada Centre in Toronto. UFC Fight Club members have the opportunity to purchase seats for the show this morning at 10 a.m. ET (7 a.m. PT). The general public will have access to the remains on Friday, July 27th 10 a.m. ET (7 a.m. PT) via Ticketmaster. Official UFC VIP Packages will also be offered for this event. The bundle includes tickets to the show, official event merchandise, as well as special VIP experiences with backstage tours and meet and greets with top Octagon stars. 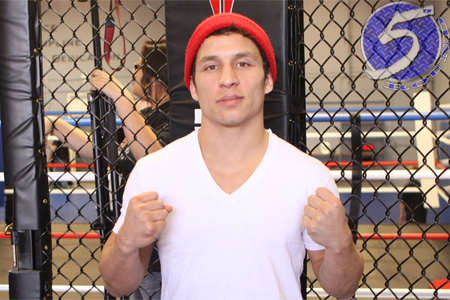 The flyweight finals between Joseph Benavidez (Pictured) and Demetrious Johnson headline the festivities. Middleweights Michael Bisping and Brian Stann serve as the night’s co-featured attraction.